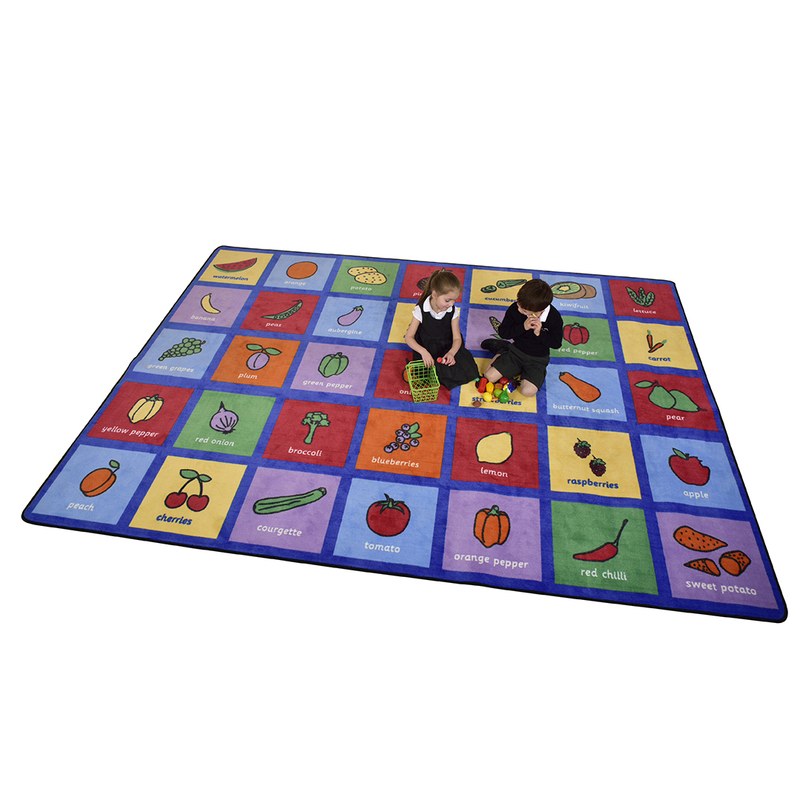 Familiarise and encourage children to identify healthy fruit and vegetables with this great learning rug. 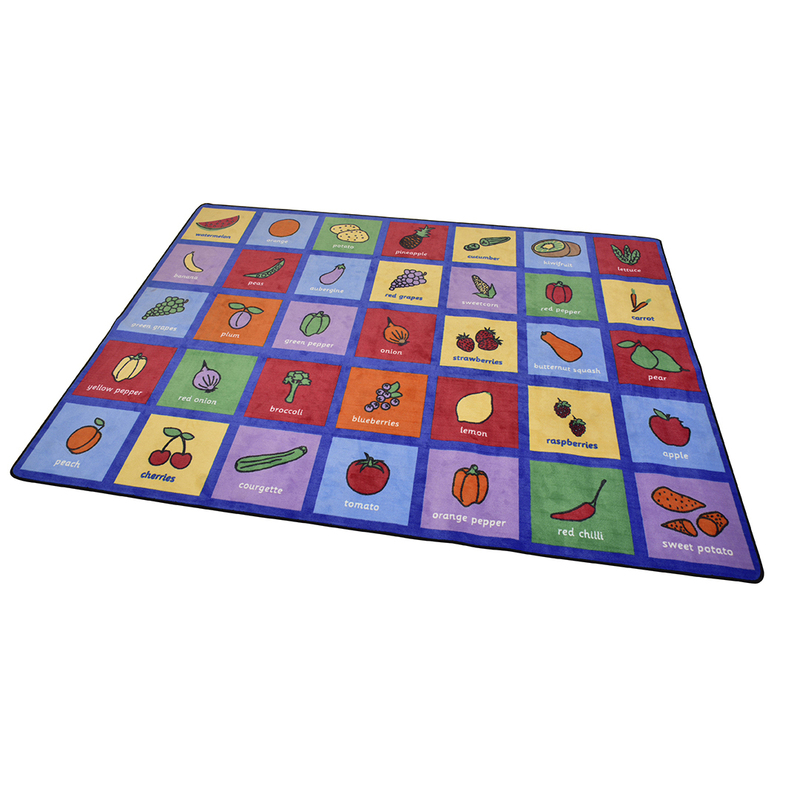 Design includes 35 different fruit and vegetables for children to recognise, each square is large enough for a child to sit on. All our high quality learning rugs have double stitched edging triple felt backing, and a lifetime anti-static fibre. Yellow pepper, red onion, broccoli, blueberries, lemon, raspberries, apple, peach, cherries, courgette, tomato, orange pepper, red chilli, sweet potato, watermelon, orange, potato, pineapple, cucumber, kiwifruit, lettuce, banana, peas, aubergine, red grapes, sweetcorn, red pepper, carrot, green grapes, plum, green pepper, onion, strawberries, butternut squash and pear.